Obama-Care Changes Imminent....or are they? House Republicans unveiled their plan for a replacement of the Patient Protection and Affordable Care Act (Obama-Care) this week, which would see a reduced role for the government in providing healthcare to Americans. 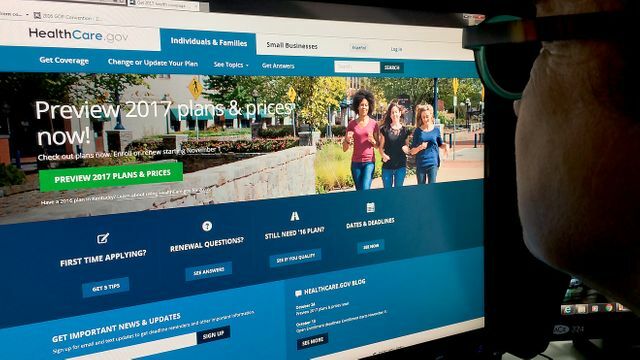 The plan would replace the individual mandate's tax penalties with tax credit incentives to buy insurance, but the result will almost certainly be less healthy and young people buying insurance. Without them, the health exchanges will die. Aware that this could pull the rug out from under 20 million Americans' health coverage, and fearful of the political consequences, some Republicans are proposing to pass changes but then delay them for several years. Sorry, but that just won't work. The minute changes have been passed, insurers will exit the programme. As a doctor might say, uncertainty is a killer. As if this uncertainty isn't enough, Republicans are also facing opposition from inside their own party, notably the hard-right so-called "Freedom Caucus" who are denouncing the plan as nothing but Obama-Care-Lite. With Democrats also bashing the plan as going too far big question remain over whether there is a way forward for the government to make meaningful changes to the massive health insurance market. Some in Congress seem to think that passing the “repeal” part immediately but delaying its implementation for two or three years will somehow leave everything as it is now. But this naive notion misses the fact that the riskiness of the Obamacare individual insurance exchange markets will have been ramped up to such a level that continuing makes no sense.